Happy birthday to the greatest man in the world – my super Dad! He has taught me everything in my life and I am so honored to have him as my super Father. Happy Birthday to My Dear Father! Thinking of you on this very special day and sending wishes to cheer your way! You are the best ever great father anyone could ask for! You are the greatest Dad in the world. If this was Father’s Day, I would give you a one tie. But it’s your birthday, so I’ll give you all my Love, Care, Respect, and Affection, the ties that bind. Happy birthday to my great Dad! Happy Birthday to my wonderful Father. You taught me how to walk and run, you helped me to stand out in a big crowd, you encouraged me to let my lovely colors show. I love you, today and every day in my life! Happy birthday to the best Father ever. I remember when you cleaned up my skinned Knees, hold my hand across the street, taught me how to reach for the stars. You are my inspiration and my superhero. Dad, having someone like you in my Life is a privilege denied to many people. May no dream of yours fail to materialize. I Love You more than all the positive and good words in the dictionary can ever express. Happy birthday. Dad, your birthday is just another day of the Year but this is the day that I get to celebrate how lucky I am to have such a clever Daddy. Thank you for everything Daddy and for being my whole inspiration, have a Wonderful birthday to you! Happy birthday pops, it’s not easy being a Father but you handle it with care. Thank you for being such a wonderful Father. Happy Birthday To An Awesome and cool Dad. You were the dad all my friends wanted, so I’m very proud to call you mine. I wish your birthday is as cool as you. Wishing a wonderful birthday to the man who taught me to believe in myself in any bad or good situation, no matter the circumstances. Thank you for being a fabulous dad. Happy Birthday, Dad. Happy birthday to my beloved Dad! You’ve taught me to be tough and never Give up, to see the Beauty in the most Unexpected things, to Love life! May your special day bring you lots of cheerful moments to cherish! A Loving father like you deserves to have nothing but all the felicity and beauty in this world. May God bless your lovely heart and soul with joy all the days of your life. Happy birthday. Dad, you were there for me from the day I was born, always having my best friend in mind. You are one of the most powerful people in my life and I love you with my pure loving heart. Happy birthday, Dad! Happy Birthday. Thank you for always being there to offer a helping hand. 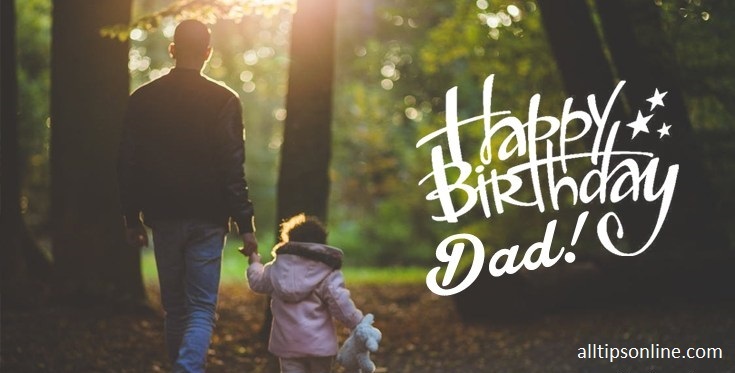 I hope today brings you lots of Love, Care, Joy, and Smiles, Dad! No one else could ever best me at an eating contest like you could before. I am so grateful to have you as my Father. Let’s eat cake together! Long ago you seemed like a Great to me, now you just have the ears and nose of one. Happy Birthday, Dad! Happy birthday, Dad. Thank you for constantly making the pleasure of your family your top most priority in life. You made my childhood years the delightful chapter of my life. No one will ever replace you in my big heart. To the great Dad in the world: thank you for being there for me, and for urging me to be better and Fight harder. I wouldn’t be who I am without your kind words and intelligent guidance. Happy Birthday, Dad! Daddy, Relax and Enjoy because it’s your special unforgettable day. Don’t worry about taking the trash out, moving the lawn and painting the fence. All these can wait for tomorrow. Happy birthday, Daddy, I love you! I always wanted to grow up to be just like you Daddy, and I still haven’t changed my mind. You are my perfect example of Strength and Love, care, and I aspire to be the same type of Dad to my kids that you have always been for me. Happy birthday! Happy Birthday, Papa. 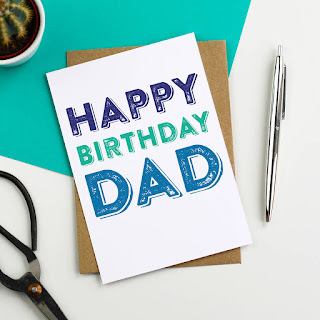 Loving wishes for the coolest Dad in the world! Stay fantastic! Happy Birthday to My Spectacular Father! Today is your big day! Hoping it is filled with the things you enjoy the most in your life. 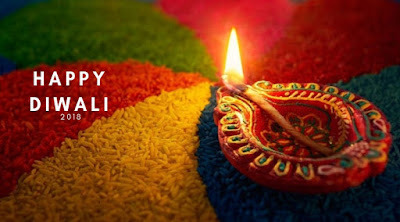 Have a nice celebration and a fantastic year ahead! I love you, Dad! Happiest birthday to the sexiest and incredible Daddy in the world… I love you, dad! May you have a great and superb day today! Happy birthday to the best Daddy on all over the world. I still remember when you taught me to ride a bicycle, to laugh and how to reach for the stars. You are my inspiration and my superman. Always love you. Whatever I am today, whatever I achieved today... it’s all because of you, Daddy! On your birthday, I just want to thank you for always Loving, Caring, Listening, Understanding and Explaining. Happy birthday, Dad! You are truly a boon to my life, Dad. For this honor, I just want to say that great words are not enough to express how grateful I am for having you in my Life. Best birthday, dad. I love you so much. Even if your hair is now white, even if your body is looser than your tires, you are still that great Young man that I used to shape up to as a Child. And that identity of my Father only gets better with age, even if his body is not. Happy birthday, Dad, I Love You always! Daddy, you are always for me from the day I was born. I am always watching me whatever I do, whenever I go. Another great year of having the Greatest Father on the earth to spend time with. Very Happy birthday to you. After your decades of working, you have finally reached that lavish time of your life where you can sit back and enjoy all the fruits of your labor. I hope you enjoy your retirement time the maximum. Happy birthday Papa. AGE is just a number and you prove it in a very good way, dad! I really want to age like you. You are the coolest and honest dad one can ever get. I am truly grateful to god! Happy birthday, Dad.